I started with 24k Gold Flake pieces then I added to the resin 24k Gold Colloidals, 24k Gold White Powder Gold, Rose Quartz Powder, Noble Shungite, Black Tourmaline Powder and Magnetite sand. Next I put the small crystal pieces line up through the middle of the piece. I then surrounded everything with Copper BBs. The flower of life is a geometrical shape composed of multiple evenly-spaced, overlapping circles arranged in a flower like pattern with six fold symmetry like a hexagon. The perfect form, proportion and harmony of the FOL has been known to philosophers, architects and artist around the world. Pagans consider it to be sacred geometry containing ancient religious value depicting the fundamental forms of space and time. In the pagan sense, it is believed to contain a type of Akashic Record of basic information of all living things and is the visual expression of the connections of life that run through all sentient beings. In New Age thought, the Flower of Life has provided what is considered to be deep spiritual meaning and forms of enlightenment to those who have studied it as sacred geometry. There are groups of people all over the world who derive particular beliefs and forms of meditation based (at least in part) on the Flower of Life. The flower of life symbol represents important meaning to many throughout history. The symbol can be found in manuscripts, temples and art throughout cultures around the world. 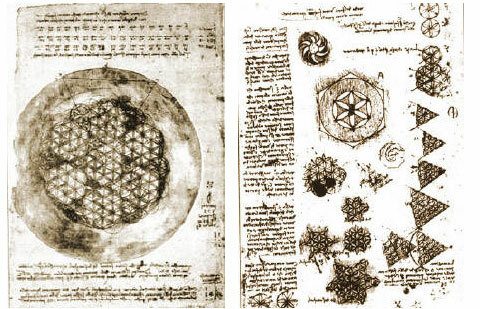 The most common form of the 'Flower of Life' is hexagonal pattern (where the center of each circle is on the circumference of six surrounding circles of the same diameter), made up of 19 complete circles and 36 partial circular arcs, enclosed by a large circle. 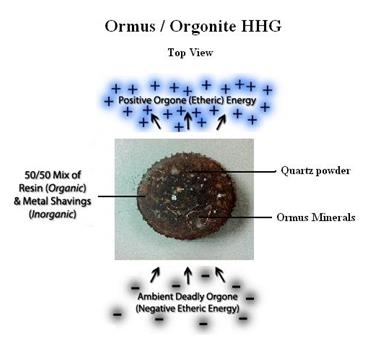 I am now making both Ormus and Ogonite and combining the two technologies into an HHg. 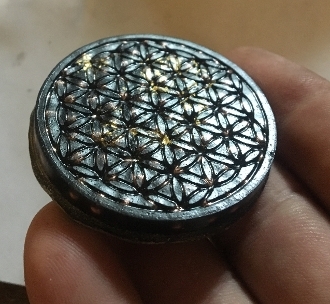 By adding Ormus minerals, WPG (White Powder Gold), and my MultiMinerals Colloidal elixir (over 33 elements) to my Orgonite resin, I’ve noticed a huge increase in the energy from the Orgonite HHGs make. I also add quartz powder instead of just a quartz shard which increases the overall energy exponentially. Since I have combined these two powerful Spiritual tools, Ormus and Orgone, they can easily be used to enhance all areas of your life - physically, mentally, emotionally and spiritually. By simply holding an Orgone device or being near one, negative energy will be cleared from your field creating a higher, more balanced and healthy state. Using your intent you can also direct this Source Energy towards personal healing, protection and spiritual awakening. What this means is that you now have a practical tool that can create and maintain a positive energy field in your home, car, and workplace for both yourself and those around you. • My grandma even says that it has brought her good luck at bingo. • I’m sure there’s plenty more uses that others can think of too.